Paintball is enjoyed by many people from all sorts of backgrounds. Just as many types of people can enjoy the sport, there are many reasons why they enjoy it. Here is a list of just a few of the reasons why we love paintball. Paintball is a social game. It’s a chance to get away from everyday life and spend some time with people you know and get to know new friends. It’s a game of people, from planning to play to bragging after an epic battle. Paintball is all about people. Paintball is fun. There are lots of things in life that are rewarding, but if they happen to be fun while being rewarding, then they become a must-do activity. Paintball is a lot of fun to play and that sense of fun is what brings us back again and again. Every time we get ready to play, we imagine what could happen and after each game, we rehash what actually did happen. The period in-between when we’re trying to accomplish whatever my goal was for that game is simply fun.  Ever since we first played paintball we’ve loved the adrenaline and adventure it provides. Running through the woods, hiding behind inflatable bunkers, shooting opponents and getting shot just doesn’t get old. When the countdown is on before the break or as we first take off once the game begins, there is still the tingle of anticipation that goes down my neck. That feeling will never get old. Paintball comes in many varieties. If you want to play in the woods, you can. If you want to play in a warehouse, you can. If you want to play capture the flag or some new game type or even invent your own, you can. We like paintball because no matter how long we’ve been playing, it doesn’t get old or stale. We feel like we’ve rattled off the list of necessary equipment to play paintball: mask, hopper, tank, gun, and paintballs. What we like about it is the variety that those things come in, particularly with the paintball guns. We have owned well over a hundred guns in our lives and they come in different shapes, styles, and configurations. We can play with a high-end tournament gun or an old (very old) pump. With whatever we choose, the game and strategy will change. No matter how many guns we’ve used, there’s always something new to try out. Paintball is played outdoors and indoors. Our preference, though, is almost always to be outside. It’s a chance to feel the sun and wind and to enjoy some quality time with mother nature. We enjoy all types of paintball, but our favorite has to be playing in the woods. It’s a chance for me to really get out and enjoy some natural beauty while having fun and excitement in the process. In paintball, you can have a good, competitive game and enjoy every minute of it. 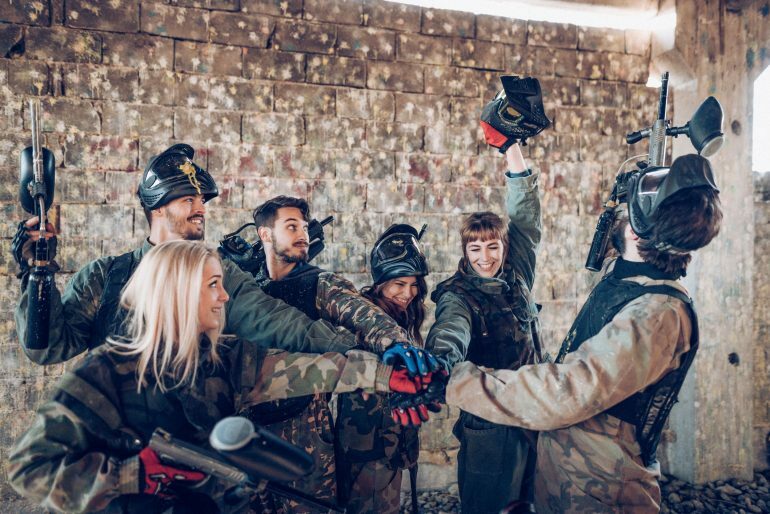 As long as you’re playing with other people that have the similar goal of having fun, trying hard but not being hyper-competitive, then paintball is ideal to let out your competitive side. New Facility, New Fields and New Game modes!